This article discusses Shakespeare & suicide. The society that Shakespeare creates in the world of his plays is recognisable to audiences as a representation of the society of the real world. 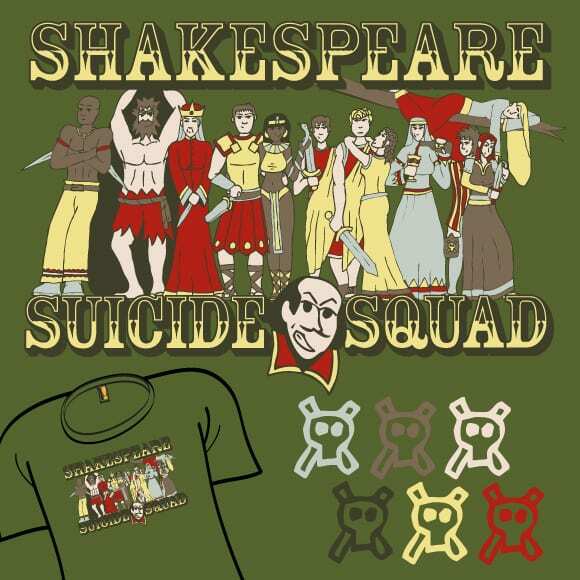 And so, therefore, as there are suicides in real life, there are suicides in Shakespeare’s plays. Characters take their own lives for many reasons, some which are shocking to Elizabethan audiences and others which they understand: the suicides in the Roman plays are completely different from the suicides of characters like Romeo and Juliet, Ophelia, Lady Macbeth, Iago, and the suicide that Hamlet seems to be contemplating at one point in the drama. It is not at all clear that these are all actual suicides, however, and some have argued that because they do not all take place onstage and that it is not explicitly stated that they are all suicides those should not be counted as definite suicides. For example, Ophelia’s death by drowning could have been an accident due to her agitated state, or she could have died from a deranged mind. One of the grave diggers suggests that she was a suicide but that is the only indication, and in any case, it’s only his opinion: he has no idea of the background to her case. Lady Macbeth’s death, too, is not a clear suicide, although it seems likely. Macbeth is told that she is dead and that’s it. The last we see of her is a suffering woman, experiencing nightmares as a result of her guilt. Elizabethan writers did not have the benefit of the knowledge we have of medical science, and dying of guilt, a deranged mind, or of a broken heart, was not out of the question. Brutus’ wife, Portia, is not a clear suicide either. We are not told that she is, and Brutus simply receives news that she has died. We know that she was an unhappy woman, and in deep political trouble, but we are not told anything about the manner of her death. In most of those thirteen cases, though, it is in the interests of the drama that the suicide should be clear. Shakespeare makes the onstage suicides big dramatic moments that contribute to the movement of the drama. The implied suicides are not in themselves dramatic: they take many forms – such as Enobarbus who, desperately ashamed of himself for having betrayed Antony, dies in a lonely ditch. He seems to have died of a broken heart but he might have killed himself – we don’t know. There are some unseen suicides among the characters in the history plays, and in those cases, being historical characters, we know that they did commit suicide, even if Shakespeare doesn’t show or tell us that. Suicide was a sensitive matter in Tudor times. During that period both the church and the state took a strict view on suicide, regarding it as a mortal sin which was linked to deep despair and demonic pride. The word ‘suicide’ only appeared in the English language long after Shakespeare’s death. Until then it was called ‘self-murder’ and was regarded as the crime of murder, and was illegal, with survivors of suicide being prosecuted. St. Augustine in The City of God had argued that God’s command ‘Thou shalt not kill’ should be extended to include the taking of an individual’s own life, and that became the guide for mediaeval society. The term ‘self-murder’ points to the stigma attached to such an act. So families regarded it as undesirable to have a loved one listed in death records as murderers and therefore went to great lengths to cover up suicides in the family. They paid bribes to the authorities, for example, to prevent too close an examination of a cause of death. It was important to conceal the cause of a suicide victim’s death so as to secure a Christian burial. In Hamlet we see the gravediggers discussing the fact that Ophelia’s controversial death might not warrant Christian burial rites. With suicide an uncomfortable concept for Elizabethan audiences – a taboo subject in England, in fact – Shakespeare trod carefully when representing it in his tragedies. Most of his suicides took place in foreign settings – Verona, Denmark, etc. thereby distancing them from the London audience. Only three suicides occur in Britain. In the case of Romeo and Juliet, the suicides as far away as distant Italy spare audiences the discomfort that suicide provoked and allowed them to sympathise with rather than condemn the couple. The Roman suicides were an entirely different matter. Shakespeare’s characters in the Roman plays commit suicide in order to protect their reputation, or to avoid a subsequent and inevitable disgraceful life. The prime examples are in Julius Caesar, where the conspirators, Cassius and Brutus, fall on their swords as a result of their humiliating defeat by Octavius Caesar and Mark Antony.